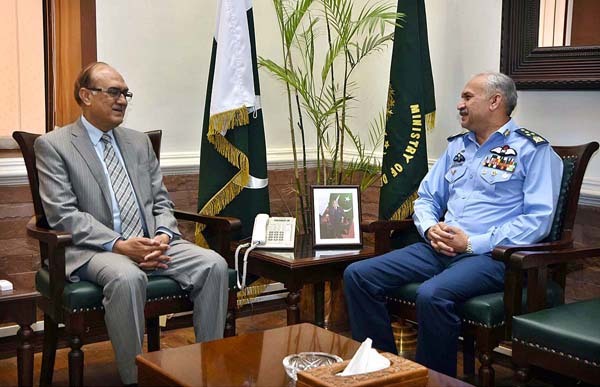 ISLAMABAD, Jul 2 (APP):Chief of Air Staff, Air Chief Marshal Mujahid Anwar Khan Monday called on Caretaker Federal Minister for Defence, Lt General (Retd) Naeem Khalid Lodhi here at Ministry of Defence. During the meeting, the Air Chief apprised the Minister about the professional excellence and operational preparedness of Pakistan Air Force. Current strategic environment and security challenges also came under discussion. The Defence Minister appreciated the level of motivation among PAF’s personnel.